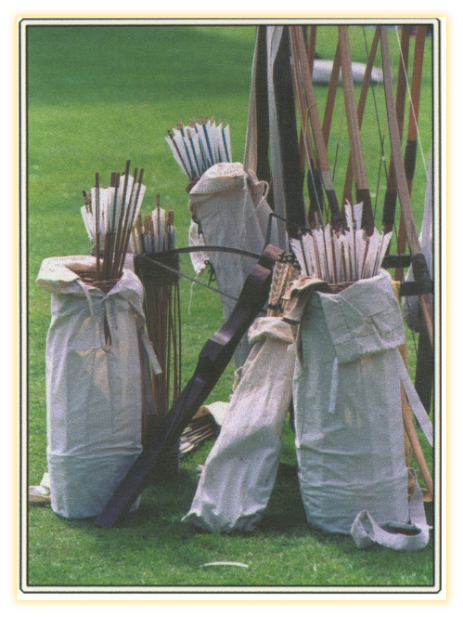 Wolfshead Bowmen are Britain’s premier longbow demonstration group, founded in 1992. We are a company of archers dedicated to the use of this weapon that became the backbone of the English army during the medieval period. Our company of men, women and children take pride in the standard of our Medieval costume, weapons and accessories, which cover the period of 1200 to 1485. We are available for public or private events, film and television. We are looking forward to bringing our new show 'Dangerous to Delicious' on the history of medieval hunting, using traps, nets, birds of prey and longbows. During our 'Dangerous to Delicious' events we provide the public with information not only on hunting techniques but on gathering and putting food on the table as well. Medieval cooking and preparing the food by our camp cooks is part of our display. We will bring this show to Tattershall Castle and Corfe Castle in 2019. Bookings being taken for 2019/2020 events - please go to our information for clients for full details or contact our Booking Officer.